The CC&G uses an architecture that concentrates information from external sources within a single DataBase. The processes that manage the contracts gathering from trading platforms use protocols with tough control system, designed to verify the reception sequence and to guarantee synchronization and restart processes. The participants’ contractual positions are updated in real time allowing a continuous monitoring of the associated risk. Each event recorded in the Clearing System is distributed in real time to the participants through a single distribution channel. 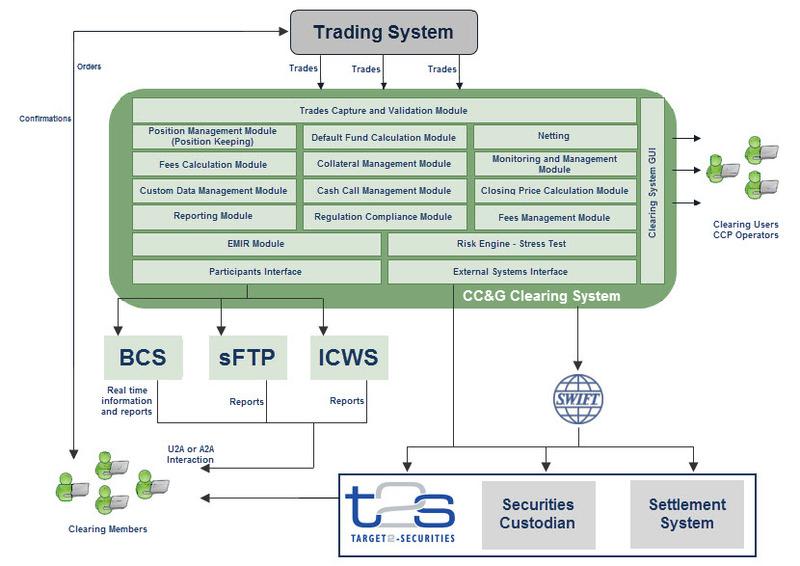 The participants, using User to Application (U2A) and Application to Application (A2A) tools, are able to find information related to their operations coming from different Trading platforms. High Availability tools allow the data replication on business continuity systems. On this page you will find a list of contact details for all areas of our business. CC&G is happy to respond to any requests and enquiries that you may have.